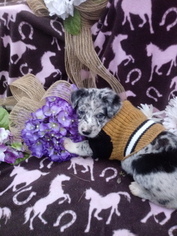 Beautiful Blue Merle male border collie. He is sure to be an eye catcher anywhere he goes. He is truely unique! Very smart and playful and already willing to please. Items Included: He will come with registration papers, dewormed, first shots, current puppy food, and a bag of dental bones for chewing. Dad is silly energetic and loves kids. Very sweet and smart. Mom is very calm laid back but gritty when needed. Snuggle bug and loves kids! Very smart. 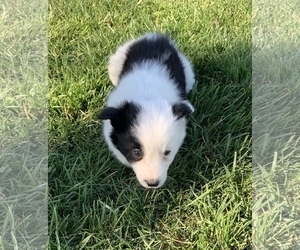 Overview: The Border Collie enjoys working; if not actually herding sheep, he needs to be in the company of an athletic owner who will allow him to work out often. He's intelligent and eager to please, so makes a fine companion for active and attentive owners. Coat: Can be either smooth or rough. The smooth coat is short; the rough coat is medium to long and flat to Slightly waby. 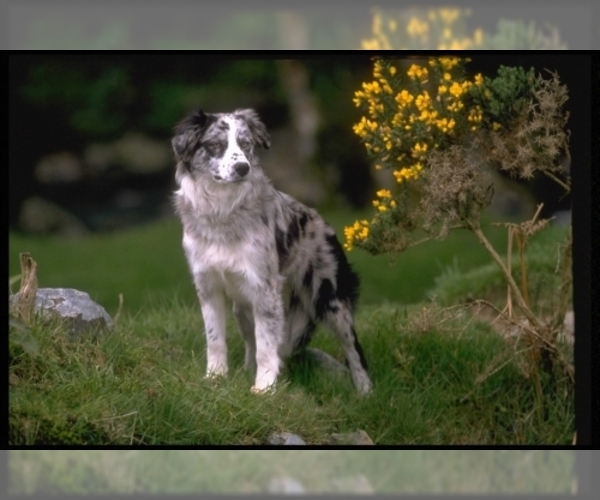 Character: Border Collies are intelligent, determined, and brave. They form a very close attachment to their family and are always eager to please. Temperament: This breed gets along well with other pets and children, as long as there is sufficient activity to keep everyone occupied. Care: The Border Collie requires at least weekly brushing. Training: This breed is very intelligent and eager to please, thus making training a very pleasurable and rewarding experience for both dog and owner. Activity: The Border Collie needs to stay active to keep from being bored (and, therefore, behaving badly). He needs plenty of exercise or specific tasks on a regular basis. Health Issue: This breed is hardy, but some are prone to hip dysplasia, progressive retinal atrophy, and eye disease. Some are allergic to fleas or prone to epilepsy and deafness. 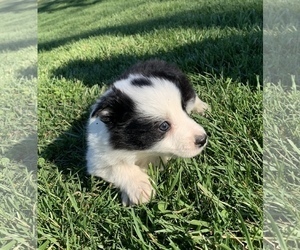 Posted Breed: Border Collie (medium coat). Adoption Fee: 125. 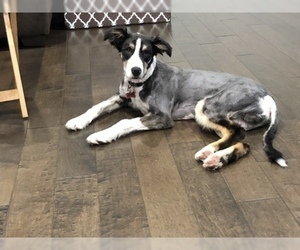 Posted Breed: Border Collie (medium coat). Adopt a new best friend. Save a life! 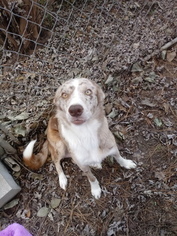 Posted Breed: Border Collie / American Pit Bull Terrier (short coat).